Mastering my Hormones...My Personal Experience On A Hormone Detox. - Radiant Reality | Nutrition. Healing Arts. Inspired Living. 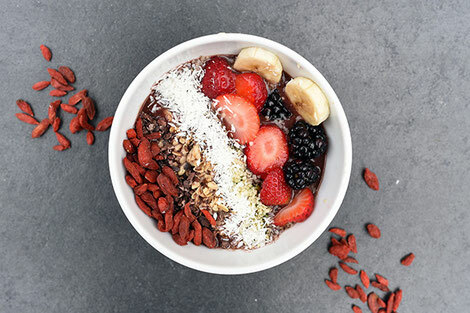 To be quite honest, I was initially hesitant to participate due to the fact that I don’t believe all bodies thrive in a “cleanse or detox” state for long periods of time. This is partially due to the Ayurvedic training I received years ago. In Ayurveda, it is taught that three doshas govern the bodies state: Vata, Pitta and Kapha. Vata governs the air and has a tendency to be cold and dry while Pitta is governed by fire and Kapha is governed by earth. Due to my dominant Vata constitution, I have steered clear of cleansing in the past. However I was assured at the beginning of this undertaking that this program was not a green drink cleanse, but a supportive detox designed to improve my body’s ability to handle and dispose of toxic substances while supporting the removal of both endogenous and external hormonal burdens in order to restore balance. I was thrilled to find I could cook warming meals and keep my body supported throughout the entire process. Here is why I did this training. I am 40 now and have struggled with hormonal imbalance since the birth of my children. After having my babies, I noticed hormonal changes creeping up on me and I developed symptoms such as painful cramping before my period, heavy menses and sensitive breast tissue. These signals were triggered in part because I wasn’t producing enough progesterone to balance out the estrogen that was running the show. Secondly, all the “bandaids” that had been administered by well meaning health care providers (both alternative and allopathic) over the years were not helping my hormone health. Therefore, I decided to troubleshoot my own body and learn to support my bio individual needs with diet and supportive herbs. First, I had a hormone lab panel run on me to look at DHEA, cortisol, estrogen, progesterone, testosterone, melatonin, cortisol and thyroid. This was a crucial piece of the puzzle. All hormones work together in a very delicate balance and there are many factors that can influence hormone health. Ultimately there is no one size fits all approach to hormone health. My experience on the detox. To be completely honest, the diet was the hardest part for me. Some of the recipes I integrated were not as easy as my traditional paleo meals I was accustomed to, and making cereals from scratch out of flax and chia and coconut were challenging at first. However after I surrendered, I got the hang of it and noticed that I was began to enjoy the process more and the food was nourishing. After two weeks into the month program I noticed changes in breast tenderness, and I did not experience cramping before my menses which was momentous for me. I also noticed that I had more energy throughout the day and it seemed to be because I was eating smaller more nutrient dense meals to balance blood sugar. I also began to use the support of b vitamins, omega 3 rich oils as well as oils rich in GLA, DIM support, aromatase inhibitors and probiotics. 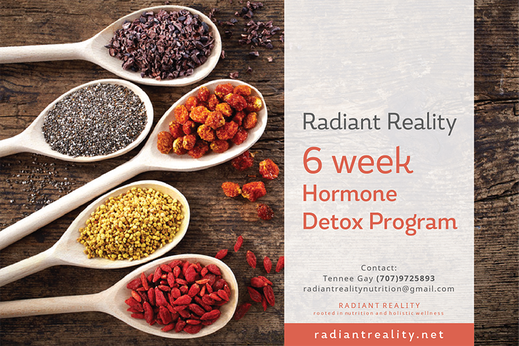 This was initially a four week process and yet 2 months later I am still implementing many of the foods and tools into my daily routine to keep my hormonal health in optimal balance. What I have found, is that it is possible to affect the bodies hormonal health by shifting the playing field with food, bio individual nutrition and lifestyle modifications. Wishing you radiant health and well being!